The Pentagon on Wednesday disinvited China from a major U.S.-hosted naval drill in response to what it sees as Beijing's militarization of islands in the South China Sea, a decision China called unconstructive. 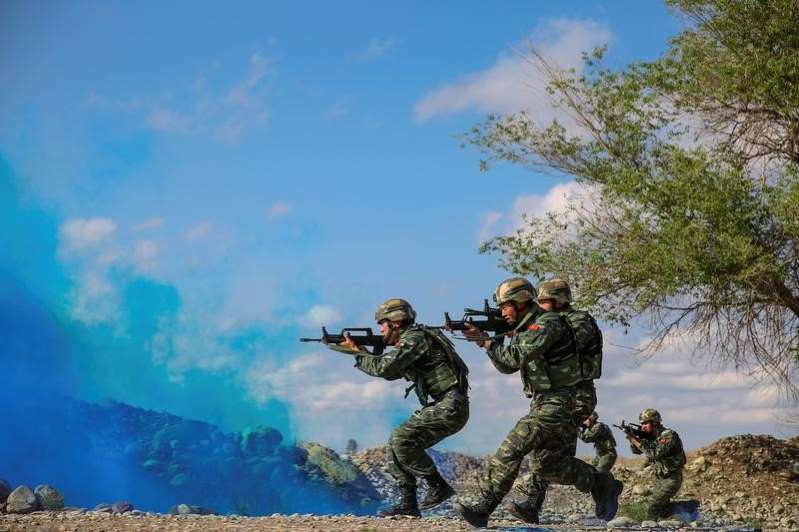 "As an initial response to China's continued militarization of the South China Sea we have disinvited the PLA Navy from the 2018 Rim of the Pacific (RIMPAC) Exercise," said Lieutenant Colonel Christopher Logan, a Pentagon spokesman. PLA is the English-language acronym of China's military, the People's Liberation Army. Logan did not specify what else the U.S. government might do to respond but stressed there was "strong evidence" that China had deployed anti-ship missiles, surface-to-air missile systems and electronic jammers to contested features in the Spratly Islands. "We find that a very unconstructive move," China's top diplomat, Wang Yi, told reporters in Washington after meeting with U.S. Secretary of State Mike Pompeo. Wang described its activity in the South China Sea as self-defense, saying it was working on a "much smaller scale" than what the United States had done in Hawaii and Guam. "We hope that the U.S. will change such a negative mindset." Over the weekend China's air force landed bombers on disputed islands and reefs in the South China Sea as part of a training exercise in the region, triggering concern from Vietnam and the Philippines. "To me it shows that the relationship is veering towards increasingly intense competition and the Pentagon sees diminishing returns on the value of military to military cooperation with China," Denmark said. U.S. President Donald Trump has praised China in recent months for its help putting pressure on North Korea, even amid concerns about a potential trade war between Washington and Beijing, the world's two largest economies. "On the so-called militarization in the South China Sea, we talked about this issue just now ... It is a normal deployment and has nothing to do with militarization," Wang said.